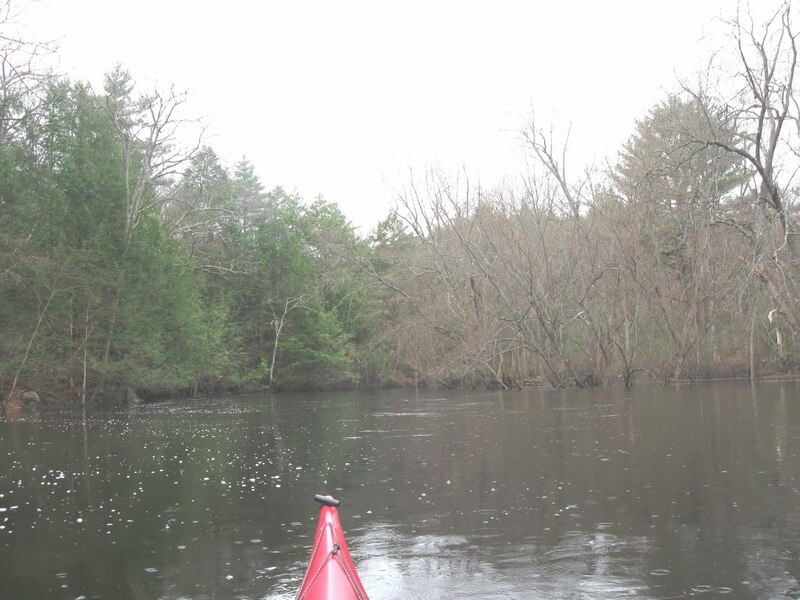 This morning's weather, while not ideal, was still adequate to get in a trash patrol on the lower Sudbury and Assabet Rivers. 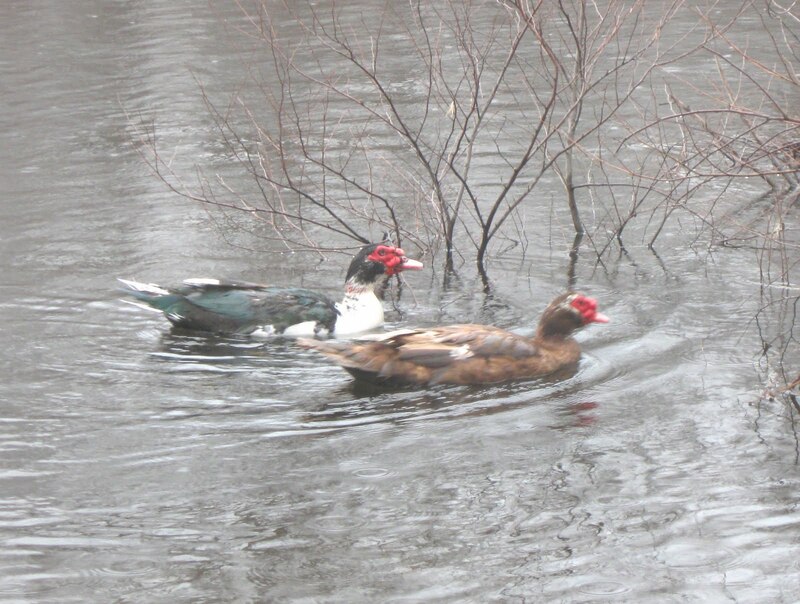 Recent rainstorms have resulted in a new crop of trash being sent downriver. The lower Sudbury River wasn't bad trashwise but when I rounded the bend at Egg Rock things began to pick up. 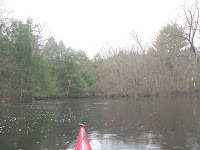 The photo at left is of the leaning hemlocks on the Assabet and shows how high the water level is. 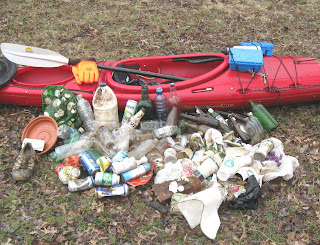 Much of the trash that floated down the Assabet ended up in amongst the trees on the river's north side. 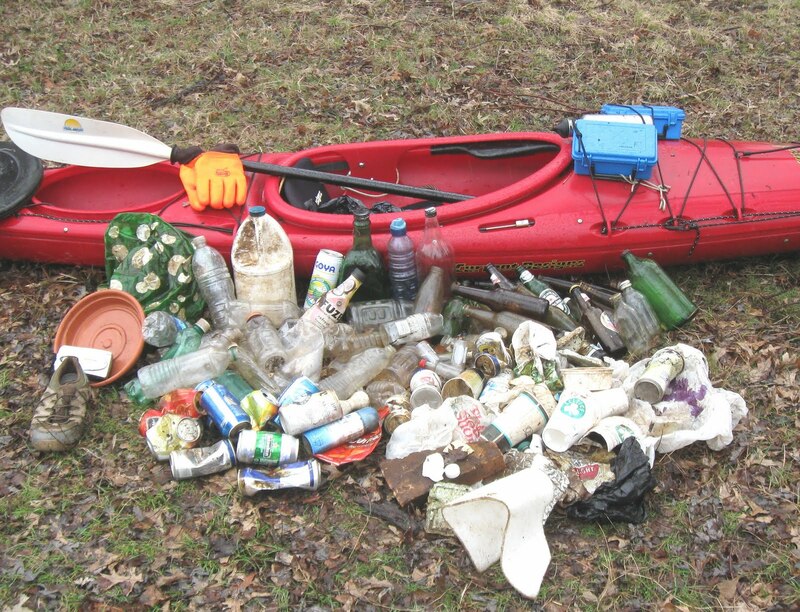 I recovered 75 pieces of trash within site of Egg Rock. Quite a few glass bottles today, about a dozen. 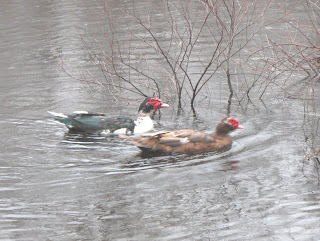 Proceeding further upriver on the Assabet, I noted Dove Rock was submerged and Willow Island was awash. The haul brokedown as follows: 64 recyclable containers (7 redeemable), and 49 pieces of miscellaneous rubbish such as plastic bags, styrofoam, nip bottles, a spray paint can, a Canon camera, an inflatable ball, and someone's sneaker. My YTD total stands at 1735.